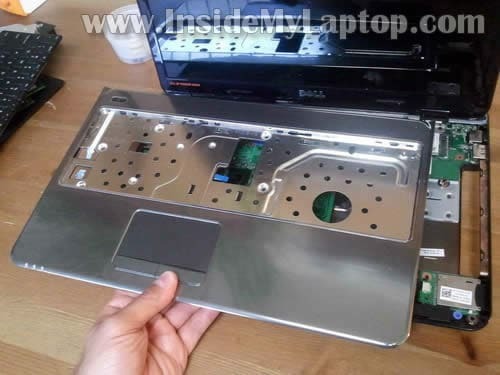 In this guide I explain how to take apart a Dell Inspiron N5010 laptop. I’m doing this disassembly in order to access and remove the hard drive. 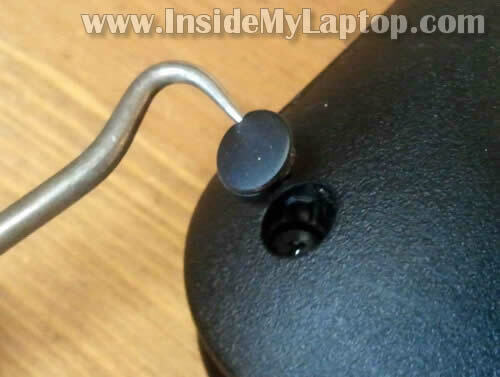 Dell Inspiron N5010 doesn’t give you an easy access to the hard drive. I’ll be removing the keyboard and top cover assembly. Before you stat the disassembly process make sure it’s turned off and battery removed. 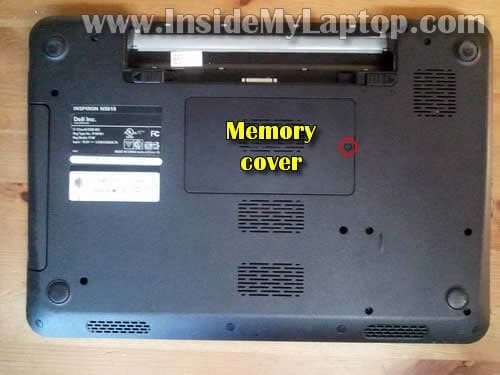 Both memory slots/modules can be easily accessed on the bottom of the laptop. Dell Inspiron N5010 (Inspiron 15R) can support up to 8GB RAM. You can install up to 4GB RAM module into each slot. Memory type used: PC3-10666 DDR3-1333 204pin SDRAM SODIMM. There is one screw securing laptop keyboard on the bottom. This screw located in the memory compartment. There are four spring loaded latches securing the keyboard on the top. Before you remove the keyboard you’ll have to unlock the connector and release the cable. Lift up the left side of the locking tab. It will open up at a 90 degree angle. On the following picture same connector shown in the unlocked position. Replace it with a new one if needed. Six screws (green circles) are hidden under rubber covers. You can remove rubber covers with a sharp object. After that remove screws. Disconnect the power button cable, status light cable and touch pad cable from the motherboard. Use same technique as shown in steps 9-10. Under the top cover assembly you’ll get access to the hard drive, CPU cooling fan, wireless card and SC card reader. 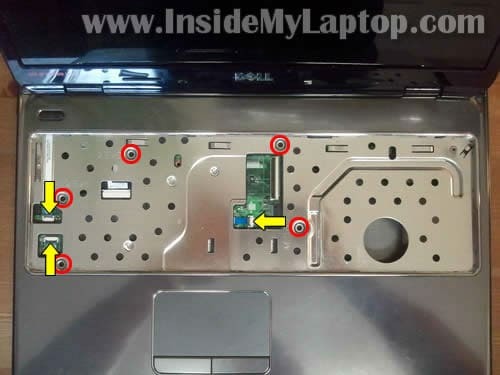 There are four screws securing the hard drive on the bottom of the laptop. Now slide the hard drive to the left to disconnect it from the motherboard. My Dell Inspiron N5010 had a regular 2.5″ SATA HDD installed. It’s possible to upgrade this drive with any other large capacity 2.5″ SATA HDD or expensive (but fast and noiseless) 2.5″ SATA solid state drive (SSD). In the next guide I explain how to remove and replace damaged LCD screen. 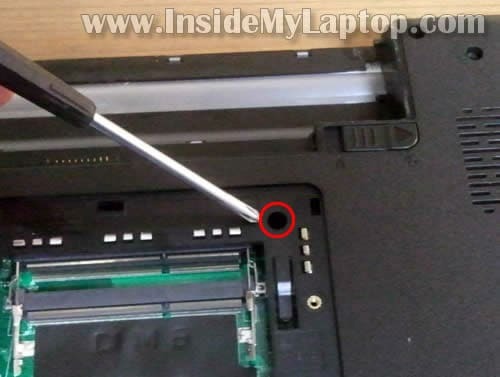 Helped me to replace damaged keyboad on Dell Inspiron N5010. Thank you. it’s the same way for dell inspiron N4010?.thank you. it’s the same way for dell inspiron N4010? 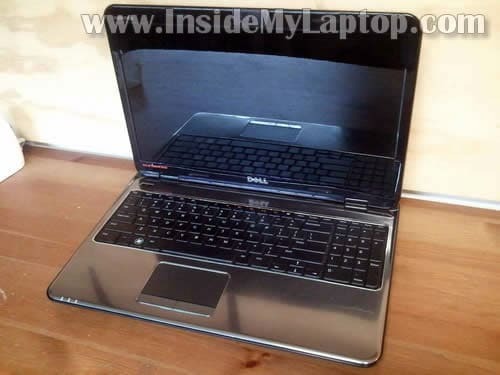 You can get official service manual for Dell Inspiron N4010 from Dell website here. i have problem with dell 610.it work only with battery but if i connect power adapter it would not power.what can i do. Is it possible to upgrade the processor to somethign which is VTI enabled (i.e to run virtual servers) ? I have some problem in Dell Inspiron N5010. Laptop fell on the floor and after that i tun it on but after 30 seconds the laptop switch off automatically. I Throughly check the HDD (working file), then check RAM (both working properly) then check Charger (working perfectly) to me every things seems to be working but whenever i turn it on and windows try to load, the laptop switch off automatically after 30 seconds. If i turn it on again same result turn it off automatically after 30 seconds. Take a closer look at the cooling fan. Maybe the fan stopped working after you dropped the laptop? It’s possible the laptop shuts down because of overheating. In Step 4, I don’t have another screw location to allow the keyboard to be removed. So how does one gain access to the guts if the laptop? I can’t seem to figure out another way to get inside. The warning on the Dell Manuals say that this particular screw may not always be present in all computers. Are you sure the video card can be replaced? I believe it’s integrated into the motherboard and cannot be replaced with another one. It doesn’t even start now!! What could I have done? I just took out the hd and put it back in, as it said data disk failed. Maybe it’s not connected properly? You can try reconnecting the hard drive. Buckeye asks on the 10th December about the missing screw from step 4. If there iss no screw the keyboard is stuck with double sided tape. Gently, but firmly, lift and the tape will seperate. iam very sorry to disturb u .. iam from egypt , my laptop is n5010 i5..
i sent my lap to several IML Technician, and they told me to sent my lap the to the dell Authorized distributor to check the hard ,, they replace the old by new one ,,but i still hear that sound .. Sounds like motherboard related failure. they replace the old by new one ,,but i still hear that sound .. Unfortunately I cannot tell what is causing the problem without looking at the laptop. It’s possible this sound coming from one of the components on the motherboard. can i install a graphic card in my laptop? plz rply. can i install a graphic card in my laptop? I don’t think so. I don’t think this laptop can take an external video card. very nice.Is there a guide like this for dell inspiron n4050? can you please help and advise. My Dell N5010 screen does not show any thing at all. If I plug in another monitor it all works Ok . Can you tell me how do I know if its the screen that needs replacing or the inverter or the screen cable is faulty. I have seen how to replace screen , this i can do , how do I replace the cable and inverter. Your help would be greatly appreciated. Any luck getting your laptop up and going? I just changed out my hard drive and have the same periodic power button flashing but nothing else happens. Anyone else? what is the dimension of the harddisk?is it 9.5mm or lesser pls reply?recently my harddisk was corrupted.my lappy is out of warrenty & they are asking 14000 for it.so i decided to go for other harddisk available not from dell.so can u recommend me which one to get? @troy same problem with me, initially thought it was a hard drive problem, but as soon as I switched them over won’t start up, just an intermittent flashing led and behind the power button. Have I bricked it 🙁 can anyone help? My daughter dropped the laptop and broke the screenHow easy are the to remove and replace Where should I buy one? I have a N5010 also, thinking of putting an SSD into it but i have heard that some laptops need thinner (7mm) ssd’s than others. Is this the case with the N5010? A regular 9.5mm SSD should fit just fine (I checked it on Crucial site). My daughter accidentally spilled water on her laptop and none of the keys would work then it just started making a whining noise. She had just downloaded all her end of school and graduation photos and thought she had lost them all. My old laptop was dead, the hard drive corrupted, so I suddenly wondered if we could put her hard drive in my old computer. I looked online and found your site and within an hour we had rescued all her files including her photos (they are now backed up!!). Thank you so much for posting this information for everyone, you are wonderful!!!! I have a problem with my Dell currently, suddenly I will get the blue ring of death and everything grinds to a halt either executing commands extremely slow or freezing. Most of the time I’m forced to do a hard reboot to get out of it. I’ve had the performance tab up, and my memory and CPU aren’t being taxed too much, It happens often when I am using firefox or chrome, suddenly it can’t handle loading pages. I’ve cleared cache, and all browsing files. I’ve used adaware and spybot to empty temporary internet files cache and check for spyware, I’ve run diagnostics on hard drive, memory, nothing is showing up. I’ve defragged my drive, still persists. Do any of you have an idea of where I need to check next? I have Dell Inspiron n5010 laptop my laptop dropped by me and now its giving me 3 beep and break and again beep no display what is a problem please help me….? Check the memory modules. Maybe one of the modules got dislocated when you dropped the laptop. Try reconnecting memory modules. I have the dell 15r and was wondering if it was possible to replace the optical drive with an ssd boot drive? I think you can do that with a 2nd hard drive HDD caddy for Dell Inspiron 15R laptop. I have a Dell N5010. Got hard drive problem(I heard this is problem specific to this model). As I din’t wish to replace it with a new one, I tried to format it. I did it by removing the hard drive as you have explained in this page. Then connected it to another system using external casing(Hard drive enclosure). But when I connected to another system and tried formatting the drives, the systems hangs and couldn’t format the drives in the hard drive. Can u help me in fixing that rather than just replacing it with a new one ? Is there a way to format the hard drive and make it working? At least to recover the unaffected sectors in the hard drive, so that the drive may be useful ?…… Awaiting your reply …. Got hard drive problem(I heard this is problem specific to this model). As I din’t wish to replace it with a new one, I tried to format it. I did it by removing the hard drive as you have explained in this page. Then connected it to another system using external casing(Hard drive enclosure). But when I connected to another system and tried formatting the drives, the systems hangs and couldn’t format the drives in the hard drive. Can u help me in fixing that rather than just replacing it with a new one ? If the hard drive is failing you have to replace it. You cannot fix the hard drive. I own the dell inspiron 15R, for a week time the laptop goes very slow. the boot up diagnostics says hardware issue with error code 2000-0146. now it does not even bootup., any idea how i can at least got backup of the data stored in d and e partition (non winodws partition). please reply on my email if possible. I own the dell inspiron 15R, for a week time the laptop goes very slow. the boot up diagnostics says hardware issue with error code 2000-0146. now it does not even bootup. Sounds like hard drive failure. any idea how i can at least got backup of the data stored in d and e partition (non winodws partition). If the hard drive failing because of a few bad sectors, you still should be able to recover data. You can try booting the laptop from a Linux CD and save files to the external hard drive. I spilled milk in my n5010 laptop. Milk was very little amount but enough to damage motherboard. I have sent it for repair. Milk only went through touchpad gaps. Is there any possibly if it could damage hard disk too? Which hard disk does Dell n5010 uses? I sent my dell laptop for repair, they couldnot repair it instead they replaced by 500gb hard disk with 160gb old toshiba hard disk. And this disk doesnot work at all. So before claiming my hard disk I want to know which hard disk does it has by default.? Is it seagate or any other brand, please let me know as fast as possible. I sent my dell laptop for repair, they couldnot repair it instead they replaced by 500gb hard disk with 160gb old toshiba hard disk. And this disk doesnot work at all. Who replace the hard drive? Dell did??? After replacing the hard drive it’s necessary to reinstall the OS. Did they reinstall it? I updated my laptop and as soon at it updated, my laptop turned off. I tried to turn my Dell Inspiron N4010 back on but all I get is a black screen with a blinking cursor on the top right hand side. My F8 or F5 doesn’t work and I’ve tried F2 and F12 but nothing. Plus the computer place wants to charge me 50.00 just to tell me what’s wrong with it. I updated my laptop and as soon at it updated, my laptop turned off. I tried to turn my Dell Inspiron N4010 back on but all I get is a black screen with a blinking cursor on the top right hand side. My F8 or F5 doesn’t work and I’ve tried F2 and F12 but nothing. Here’s what you should try first. Unplug the AC adapter, remove the battery. Push the power button and hold it down for a few seconds. Now plug in the AC adapter and try turning on the laptop again. I don’t know why the F12 doesn’t work. 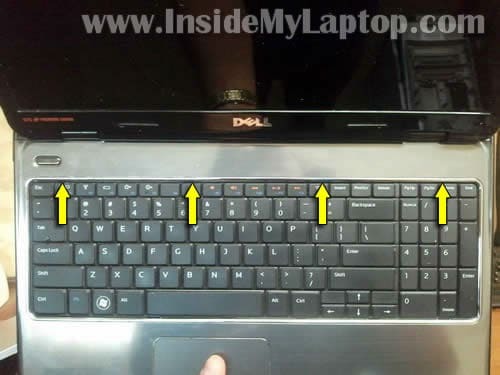 Try tapping on the F12 key a few times as soon as the laptop is turned on, even before the Dell logo appears on the screen. F12 key should bring you to the boot menu when you can select diagnostics and run it. A blinking cursor might indicate the hard drive failure. It’s possible your hard drive was on the verge of failure and running Windows updates killed it completely. Again, try F12 and run diagnostics. If the hard drive failed, it will give you an error message during the diagnostics. my hard drive crashed about a week ago but somehow i was able to retrieve some important data from it. all i want to know is that if i want to replace my hard disk can i replace it with another hard disk of some different company and can i replace it with a 500gb, 2.5″ hdd instead of what it is now… i.e. wd hdd 320gb 2.5″ ?? There should be no problem if you replace a 2.5″ 320GB SATA hard drive with a larger 2.5″ SATA hard drive. Hi i have the N5010 core i3 just yesterday my drive crashed an all my data including partitions so i now have to buy a new drive, just needed to know can this machine support a 1TB? 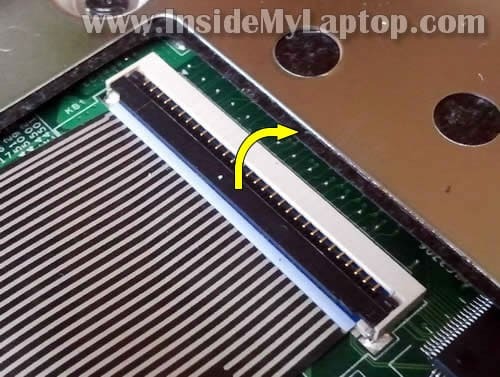 can Dell Inpsiron 15R (N5010) SATA Hard Drive Adapter Interposer Connector is different then Dell Inpsiron 15R (N5110) SATA Hard Drive Adapter Interposer Connector? I searched for both connectors on eBay. It looks like they are similar. Hi IML Tech, i have a problem on n5010 15R i receive an error 5300:0119 nine beeps. problem with display. I use my externel monitor. Another problem is the font, it display different as expected. Hello, I just replaced the hard drive in a n5010 I5. I was very careful with the cables etc and the reassembly. My problem is that now the computer will not power on the lights just blink intermittently and nothing ever happens. Have you ever run into this problem before? Thanks for any help you may offer. 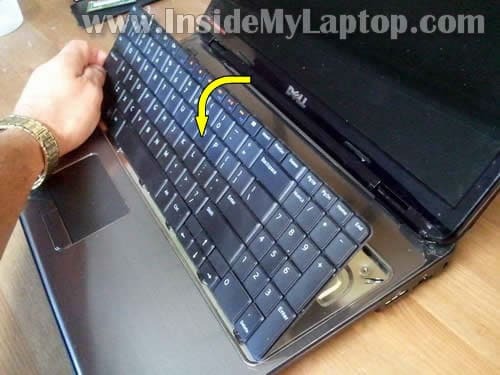 I am ashamed to say I have nicked my Dell 15RN keyboard and I require a new one. Do you by any chance know where I can buy one? Very good detailed instructions. It took me just about a half hour from start to finish. Lucky for me, the keyboard wasn’t sticky taped down like many others have said. I noticed that the fan wasn’t working properly before I opened it all up, so I blew powdered graphite into the motor housing and all is well now. It also helped to just remove ALL the screws on the bottom and the case comes apart real easy. All screws are exactly the same size on mine, except for the 4 screws that hold in the H.D. Be patient when re-inserting the ribbon wires back in the clips. There are 4 including the keyboard one. They have blue tabs on them to hold while you slide the actual connector end under the clip. Put the wire in all the way firmly & gently clip the plastic piece down over top. Don’t force it! If it won’t close easily, try reseating it again & start over. If you snap off one of those fold over plastic clips, specially the keyboard one, It’s new MotherBoard Time. I’ve a feeling this is why people are having problems getting their machines to power on or work correctly after re-assembly. Be patient, don’t rush through the project, take pictures if you have to along the way, and things will go much more easy for you. THANKS AGAIN TO THE TECH WHO TOOK THE TIME TO WRITE ALL THIS. Great detailed pics!! The bar that hold the keybourd cable came off how do you put in back on? Can I add the Intel 525 SSD to this laptop? Actually i have sent my laptop for repairing and they remove 2gb RAM out of it because they said it was corrupted and now my laptop again has a problem and this time its working fine with UBUNTU but my windows is not opening. So is it a problem of corrupted RAM or something else? Run Dell diagnostics. It has a test for memory. Turn on the laptop, press the F12 key and select diagnostics. If everything pass test, most likely this is software related issue. In this case you’ll have to repair or reinstall Windows OS. 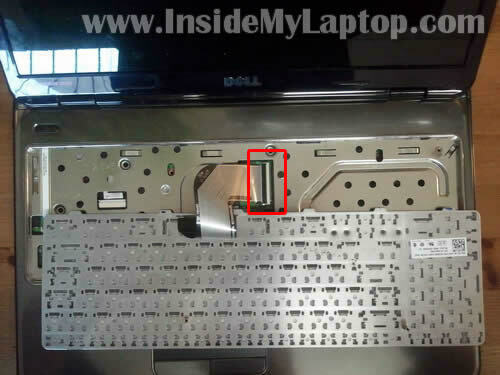 my dell laptop n5010 is locked with system password.can you help me to locate the jumper on the motherboard so that i can reset the password. First off: thanks for taking the time and making the effort to publish this information!! and checked for loose connections, but everything appears to be okay, so I’m wondering where else to look… near the MB, perhaps? my charger indicator light is not working ?? First, try reseating the battery. Maybe it’s not connected properly. Does your laptop start from AC adapter when the battery removed? 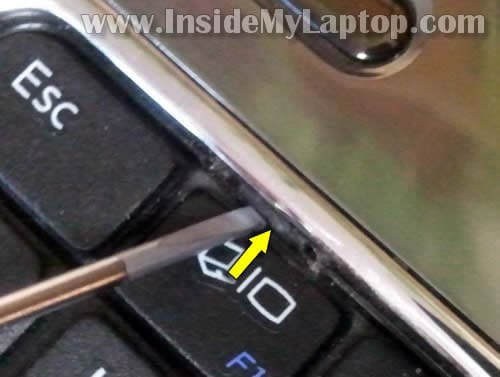 i have dell inspiron n5010 its keyboard caught red ants and went inside frm keyboard hole inside can u tell me the solution to get rid of the ants????? Hello Techies, I have N5110 Inspiron. Can I replace the default HDD with a SDD for my laptop. Any help is appreciated. Hi my Inspiron 15R is become very slow, I did disk defragmentaion, run dell dignosis software..didnt detect anything (all test are pass), still I am suffring from this problem, this problem was stareted from when blue screen error came on my screen, and my laptop stop working completly dead for few hrs, after 2-3 hrs when i tried to start it i was working but with above mentioned problem..so please suggest me what should I do. Inspiron 15R is become very slow, I did disk defragmentaion, run dell dignosis software..didnt detect anything (all test are pass), still I am suffring from this problem, this problem was stareted from when blue screen error came on my screen, and my laptop stop working completly dead for few hrs, after 2-3 hrs when i tried to start it i was working but with above mentioned problem..so please suggest me what should I do. If all hardware passed diagnostic test, it must be software related problem. You can back up your data and reinstall OS from scratch. It’s hard and very often not efficient try to repair Windows OS. My dell n5010 sometimes goes overheated. Fan is working properly and I formated it a few days before. should i change the fan or what should i do?? To take out this hard drive is hell of efforts. Such a complex design. hello.i have a small piece of a hardware in 2cm length located in bottom of my motherboard and the left side of right speaker.when it is installed my battery and wireless dont work.can i remove it?what s that? i have a small piece of a hardware in 2cm length located in bottom of my motherboard and the left side of right speaker.when it is installed my battery and wireless dont work.can i remove it?what s that? Maybe Bluetooth module? Not sure 100%. Find the part number and google it. My insprion 15R got a wired problem. It will not boot unless and until i heat t it with an hair dryer. Could be motherboard related failure. Probably when you heat the laptop, you indirectly heat the motherboard. Try reseating RAM modules and try booting again. Also, you can run Dell diagnostics and test RAM. It’s possible new RAM is faulty. In order to access diagnostics, press F12 when Dell logo appears on the screen and select Diagnostics. Also, did you try installing just one 4GB module at a time? Hello. My laptop inspiron n 5010 get shutdown automatically after few seconds of i power it on.. i had clean my lappy.. bt prblm not solved .. plz help me.. my all imp data in it… . is there any mSATA slot?? CAN ANYONE TELL ME THE WAY OUT OF MY PROBLEM, MY LAPTOP IS NOT STARTING. .WHENEVER I PUSH THE START BUTTON IT STARTS BEEPING AND LAST UNTIL I SWITCH OFF IT WITH DEAD SCREEN.BUT PUTTING IT FOR SOME REST SAY ABOUT 20 HOURS ,IT AGAIN STARTS BUT WHEN IT GETS HEAT UP SCREEN GOES DEAD AND ONLY THING CAN U HEAR THE BEEPING SOUND. First, I would try reseating both memory modules. Just remove memory from slots and install back in place. Test the laptop. Could be just bad connection between memory and slot. If it doesn’t help, try removing memory modules one by one and test the laptop with only one module installed. It’s possible one of the modules failed and the laptop doesn’t start because of that. I havone issue in my laptop. Issue: windows 7 logo and everything is display double double, not clear display, please give me solution. You’ll have to test your laptop with an external monitor. If external video work fine and the problem appears only on the internal screen, most likely the laptop screen is bad and has to be replaced. Hi i have dell inspiron n5010 i recently face a problem with it. after i turn on the power switch it will take like 1 min and gives a 1 click sound and closes direct. we clean it already and try to remove the ram on the backside but still giving the same result. what could be the problem. can you please help me and advice how to make it work. Turn on the laptop and listen closely for the click sound. Is it coming from the area on the left side of the trackpad? If yes, it’s possible the hard drive failed and has to be replaced. perfect instructions made a daunting task ridiculously easy. thank you. Hi i have a dell i3 n5010, i face problem in battery, when power cable remove then system turn of and battery indicator light is blinking red as well as white, red-white blinking, i think battery timing is zero, cal u tell me how i fix this problem. I would test the laptop with another battery. Without testing it’s hard to tell if the problem is related to the battery or motherboard. 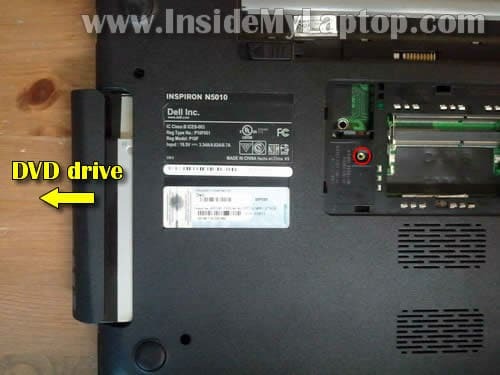 hi there i recently changed the hard drive on my dell n5010 following the guidelines shown but now i cant turn the machine back on. Theres no power light, no noise or any other signs of power to the laptop??? The light on the AC adapter is still on and both battery and mains adapter were working fine before i changed hard drive. i have put the old HD back in the machine thinking it maybe the cause but still the Laptop has no power?? Some help would be amazing, thank you!!!! It’s possible you forgot to connect the power button board cable. It’s shown in the step 14 – it’s the left arrow pointing down. Or this cable not plugged correctly. Check the connection. Hi yes ive checked all cables and they are all fitted correctly?? It’s hard to figure out what is wrong without seeing the laptop. 1. Remove the top cover assembly. 2. Separate the power button board from the assembly and try connecting it directly to the motherboard. Try turning it on without top cover. It’s not necessary to connect the keyboard and trackpad for that. 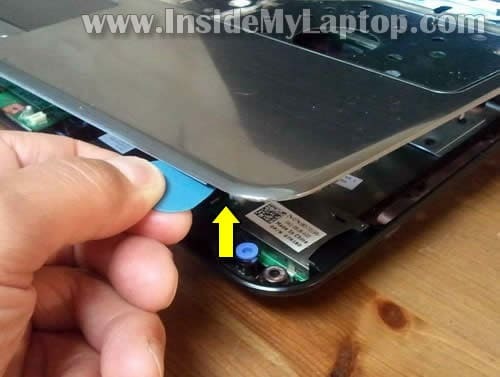 If the laptop turns on this way, put it back together and try again. I think it’s just some kind of connection related issue. I believe this model can support up to 8GB RAM. Also, you can upgrade from HDD to SSD to make it even faster. I recently dropped my Inspiron 15R on the floor. During boot up, it gets to the Dell logo, and eventually displays the message “PXE-E61 Media test failure, check cable.” Any advice on what I am looking for here? I do not find any cables disconnected. Thanks! Found my Dell disk with diagnostics on it. Ran through all the device tests. All pass except the SATA disk tests. Confidence test, Drive self-test, Read test, Seek test, and Verify test all fail. SMART test passed. Does this mean what I think it means…replace the hard disk? Thanks! Yes, it looks like the hard drive failed and has to be replaced. You get “PXE-E61 Media test failure, check cable.” message when the laptop cannot see or read the hard drive. Thxs for your guide! N5010 replaced heat sink due to overheating and frequent shut downs. (Best buy tech said that was the problem). Now computer tries to boot–goes to “fix files window”–click yes–begins loading and shuts off. New fan cooling then nothing. Ran diagnostics and all passes until SYSTEM test and images fade on screen and computer turns off. Any ideas? Took apart second time and made sure all connections were secure. 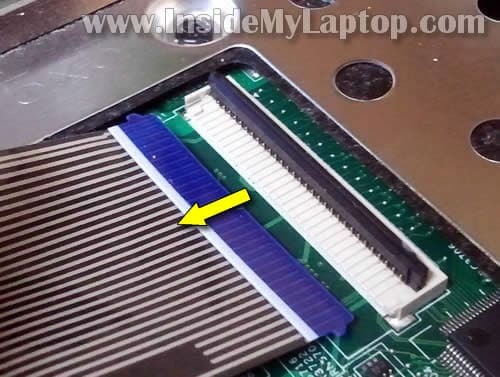 Did you apply new thermal grease on the processor when replace the heat sink? If not, probably the laptop shuts down because of overheating. 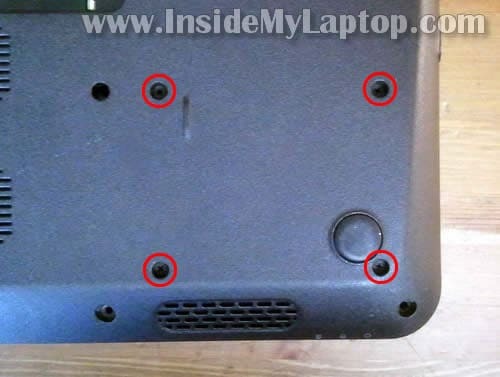 what are the screws used in dell inspiron 15r, i mean the dimension or size of screws. I’m not sure about that. I don’t keep track of screws. Even in the service manual Dell doesn’t tell the size of screws. Sir, My laptop Dell N5010 mousepad surface is not working. Give me the required repairing tips and guide to replace parts if required. My friend has given this laptop. i used this site, done well. really lot of thanks. I am trying to get advice on an Inspiron 5010, it is completely dead and not making any noises or lighting any lights. Is there a way to test whether the DC charging board is powering the motherboard? Awesome instructions, thank you. Saved me much time getting a hard drive replaced. Thanks man,,,it was immensely helpful. it was very helpful for beginner’s. thank u so much for creating such a wonderful website. Hello.I have a problem with my inspiron5010. I disassembled my dell as your pictures below,but now that i assemble my laptap it doesnt turn on. I have checked my adapter and battery.they are OK.but i can not turn it on. Why did you take it apart? What happens is you push on the power button? Any lights, sounds, anything else? I take it apart because the fan sounds very bad and I wanted to clean it. Nothing happen when I press power key.nothing at all. Make sure the power button cable properly connected to the motherboard. This cable shown in the step 14 – the left arrow pointing down. It’s possible you just forgot to plug it in. So if I have understood all the comments correct you can not put a new(better) graphics card in this laptop? My inspiron 15 R has max waves audio system …..but from past 2 days its speaket is making sound while i put on some audio and video…..pls. help what to do…..!!!! I have dell m5010 which have amd motherboard and it short out. can I put i3 or any other motherboard ??? or ear phones, how do i fix this problem? sir i am form india. sir i had dell r15 n5110 laptop its window is not working proply .. after welcome not its show blank page i.e green colour … what has happened to it pls. 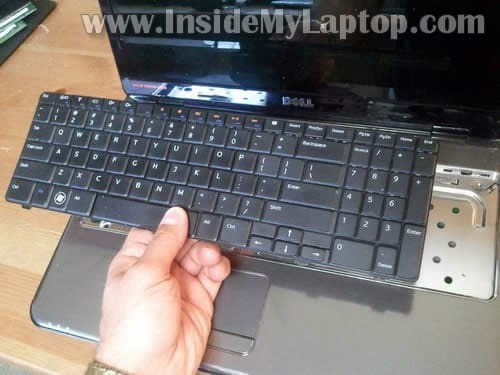 reply me on my mail..
How can I make my Inspiron 15R less noisy? The cooling fan seems to be always on and at high rotational speeds..
During step 14, i accidently pulled out the blue tape above the power button cable and now my laptop wont start. Is the blue tape important? How do i fix this. Urgent. 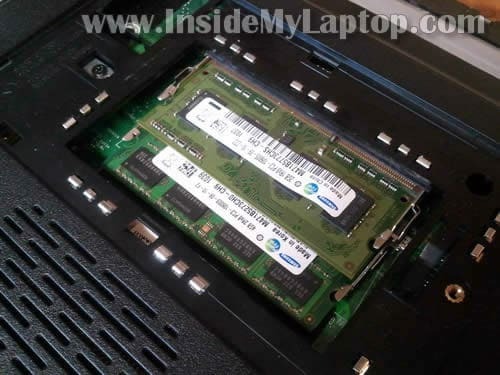 Hi, i have a dell inspiron 15R N5010.i had a problem and it was necessary to remove the one ram card and it remains one with 2 gb.i want to replace it with one of 4 gb only the one slot.So, i have to take the same model of ram card like the previous?? (for example PC3 10600 sodimn 10 2 F12)?exactly the same type but at this time with 4 GB? Hi, I put a new HDD in my 15R N5010 following your instructions no problem but I damaged the clip on the moterboard that holds the power switch. It will not hold the cable now so when its on I can,t turn it of apart fron a new board can you suggest anything? 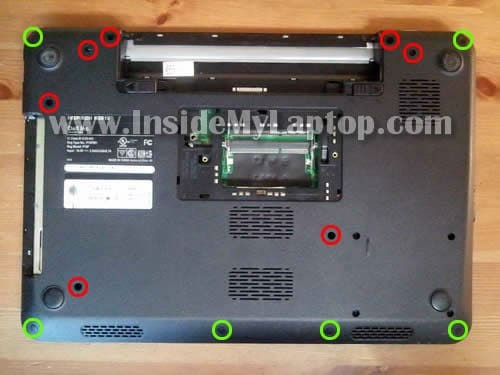 Hello, I have a Dell Inspiron 15R (N5010) Laptop that I purchased in 2011, but now it has started shutting off and when i took it to the Dell Service centre the technician said that the Graphic Card needs to be replaced or otherwise the complete Motherboard needs replacement. He mentioned that the Warranty will be 1 month to max 3 months. Pl. Let me know if I should get the Motherboard replaced? Does the replcement last long and should I spend 13 thousand Rs on Motherboard replacement. Let me know if its worth it and how long does the motherboard replacement last? Hi sir I am Sravan Reddy my laptop specifications are (N5010,I3 Processor,500GB harddisk,4GB Ram and Graphic card,”2010 year model”). I am facing a problem with my laptop like when i on my laptop power light is showing and it doesn’t display the screen and also when laptop runs middle light will be blinking nut now its not blinking and no problem with battery…..
Can i know what’s the problem with that will you please help me to solve that??????? Thanks for the help. This was a great tutorial. Thanks I.M.L. for taking the time out for producing this guide. My household found it very useful. Keep up the great work! Many thanks for this guide. It was easy to follow and ACCURATE! In the Step2 photo, there are silver ‘squares’ in groups of three around the opening. I have one that came off. Can you advise what they do and what will be affected if one is missing? Thanks very much. Which screwdrivers did you use?